Term life or whole-life insurance, how to differentiate among the two? Term Life Insurance comprises insurance protection, including pre-determined sum (sum assured) upon the death of the insured within the period of coverage. Unless renewed, coverage will expire with policy expiration. The question whether everyone needs life insurance has a simple answer, yes! 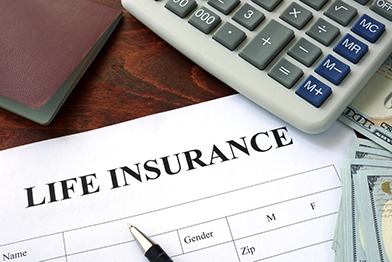 Critics may claim that life insurance is a product designed for older people who have dependents. However, we all agree that it is critical to have a financial plan that covers risks as well as builds your wealth. What better way to cover your risks than having life insurance. In general, two kinds of life insurance are available in the market – whole life insurance and term life insurance. So, what does one choose? This would depend on your priorities and objectives. Here are 3 reasons why whole life insurance is better than term insurance. Before we reason out why whole life is better than term life cover, let us get a good understanding of the two. Term Life Insurance comprises insurance protection, including pre-determined sum (sum assured) upon the death of the insured within the period of coverage. Unless renewed, coverage will expire with policy expiration. Term insurance provides temporary insurance coverage and thus is the cheapest among all insurance options. For an ordinary cover, the entire amount of the premium paid is used to cater for the death benefit cover. Term life insurance cover is also renewable and occasionally changeable to permanent life insurance. Whole Life Insurance, however, is a life insurance plan that offers cover to the insured during his or her entire lifetime. The aim is to create a fund for the dependents of the policyholder. It provides for payment of the sum assured, including bonuses upon the demise of the policyholder. Whole life insurance makes available protection and acts as an investment opportunity. It is also known as a permanent life insurance. A portion of the premium paid in whole life insurance plans is set apart for investments, which avail a cash value (similar to a savings account). The remaining part of the premium is used for death benefit cover. Permanence; Whole life insurance does not require to be renewed after some time; it covers a larger period compared with term life insurance. Premium Cost: Term life is considerably cheaper than whole life; however, as a portion of premium in whole life is invested, policyholders will get better cash value. Term life is not significantly cheaper compared with whole life. Additionally, whole life cover never expires and therefore, there is always an element of value for money. Dividends: Whole life insurance offers unceasing dividends, while on the contrary, bonuses for term life insurance, is claimed only once when the policy gets expired. The larger picture says, the ideal life insurance cover for anyone, regardless of age, is whole life insurance. It provides the opportunity to invest and protect your beneficiaries at the same time.